Save $5 when you purchase your tickets today online. Click “Buy Tickets” and enter promo code STAYPUFT to access this deal. 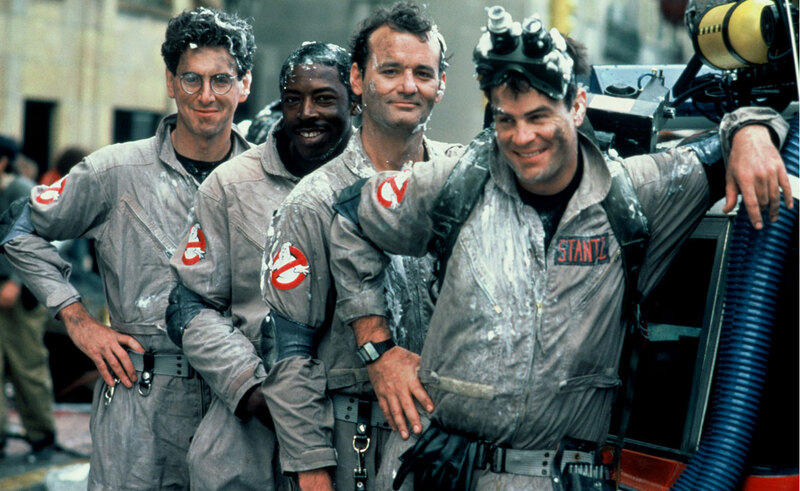 Hear the Utah Symphony perform Elmer Bernstein’s iconic score live as the entire film Ghostbusters plays on the big screen as part of the films 35th anniversary celebration. The conductor is Peter Bernstein, son of composer Elmer Bernstein. Community sponsor FanX Salt Lake Comic Convention presents the 28th annual Utah Symphony’s costume contest! This year is different than any other, and has evolved to include our online audiences who decide upon the winners from a pool of finalists. Costumed ticket holders to both performances of “Ghostbusters” may enter the annual contest in the lobby of Abravanel Hall starting at 5:30 pm. Costume contest will end promptly at 6:45 pm – no exceptions. Finalists’ photos will be uploaded to Facebook and winners will be voted upon by our loyal online fans in the categories adult, child and group. Prizes include passes to FanX Salt Lake Comic Convention, Natural History Museum of Utah, Ballet West, Utah Symphony | Utah Opera, Centerpoint Legacy Theater, Ogden Dinosaur Park, The Hogle Zoo, Grimm Ghost Tours, The Leonardo, Living Planet Aquarium and gift cards courtesy of KSL NewsRadio. After the members of a team of scientists lose their cushy positions at Columbia University, they decide to become “ghostbusters” to wage a high-tech battle with the supernatural and stumble upon a gateway to another dimension—a doorway that releases evil upon the city. The Ghostbusters are now New York’s only hope to save it from complete destruction. Join the Utah Symphony as they perform Elmer Bernstein’s iconic score live while you watch the full-length feature film of Ghostbusters on the big screen. Ghostbusters©1984 Columbia Pictures Industries, Inc. All Rights Reserved.